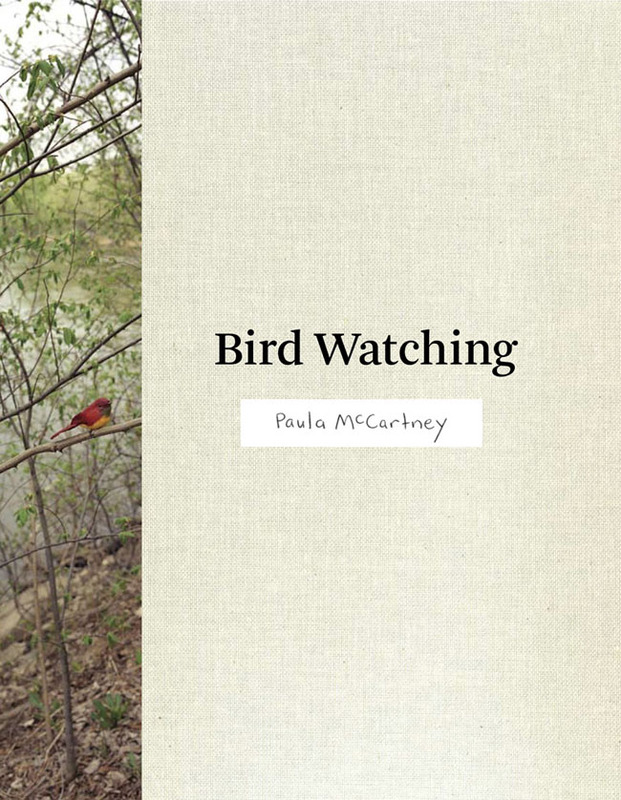 I must admit when I first saw the first announcement for Paula McCartney’s photobook Bird Watching, it drew a long yawn. I mean, OMG what were the photobook publishers thinking? When I later learned that Darius Himes had written the Afterword, I started to reconsider my initial response, such that I subsequently acquired a copy from Paula. How ironic, that for this delightful book, I am going to have to admit that I initially got it totally wrong and I will now have to eat some crow (Styrofoam, of course, as no real animals were hurt in the writing of this review). Usually a good place to begin while reading and attempting to understand a photobook is identifying the subject or subject matter. In a wonderful way, this is not such an easy task with Bird Watching, which is a little bit more complex than the title and initial browsing reveal. Yes, it could be a bird watchers journal, until you discover the photographed birds are not real. 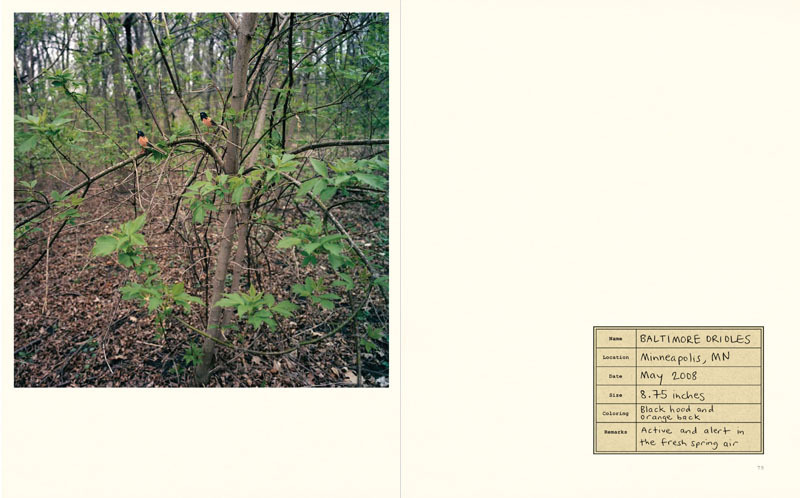 It could be a charming fictional work, if in fact the photographs are real landscapes with real fake birds. It could be a satire on those who enjoy bird watching, or any obsessive hobby, but there is a very light and joyful aspect to this body of work, that does not feel the heavy weight of irony or a caustic narratives, but more of a wink or two between friends. I feel in the end this book is about creating an object of fantasy that relies in part on photography to help facilitate McCartney’s playful story. 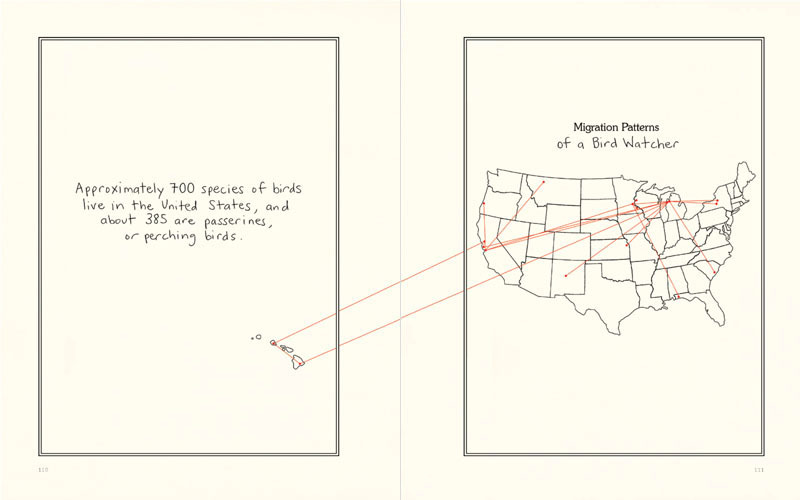 McCartney has incorporated a lighthearted hand-written narrative with her delicate ink drawings in conjunction with her photographs to recreate a humorous bird watchers “trophy” journal. 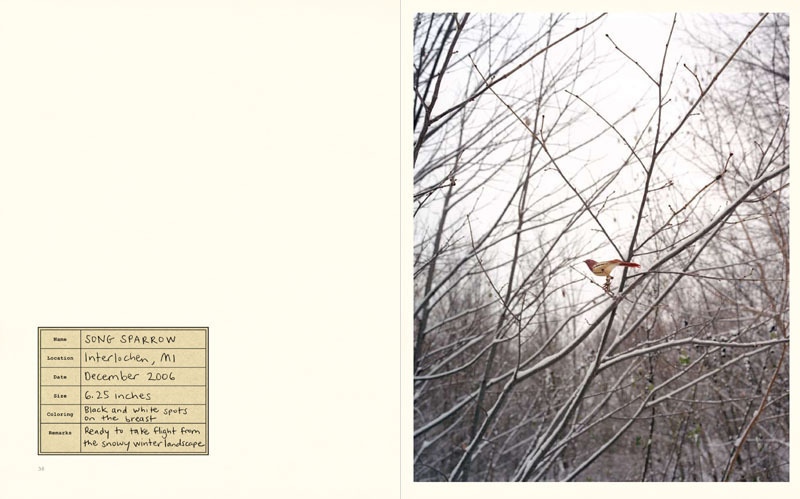 This is a fictional scrap book that is inclusive of various bird sightings and personal memorabilia and appears similar to one that you might suspect an actual bird watcher might compile, with an exception to photographs of the fake birds. Her color photographs have the aesthetics of a bird photographers manual, the subject is composed somewhat central within the framework, and the depth of field is shallow, similar to the effect of a long telephoto lens that are required for photographing the real birds. The birds are sharply focused, thus making it relatively easy to determine that these in fact are not real birds, although positioned on branches in a very similar manner as to the real variety. 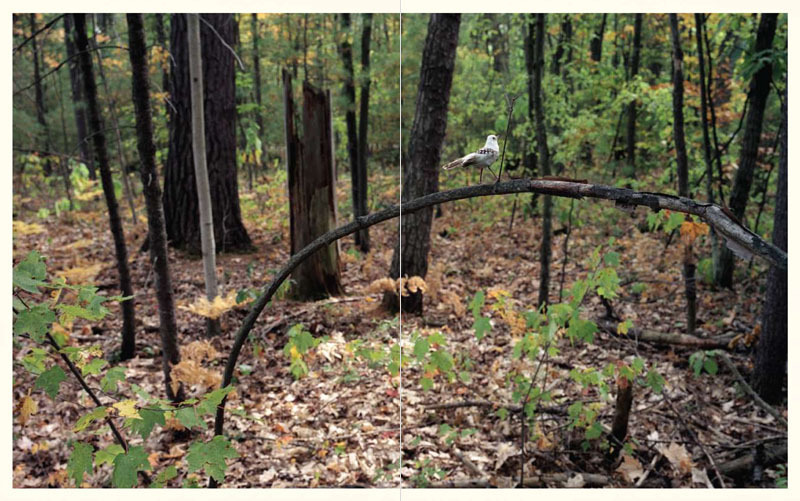 The shallow depth of field also creates interesting landscape photographs, providing a hint of geographical context that is consistent with the location of the real variety of the fake birds depicted. 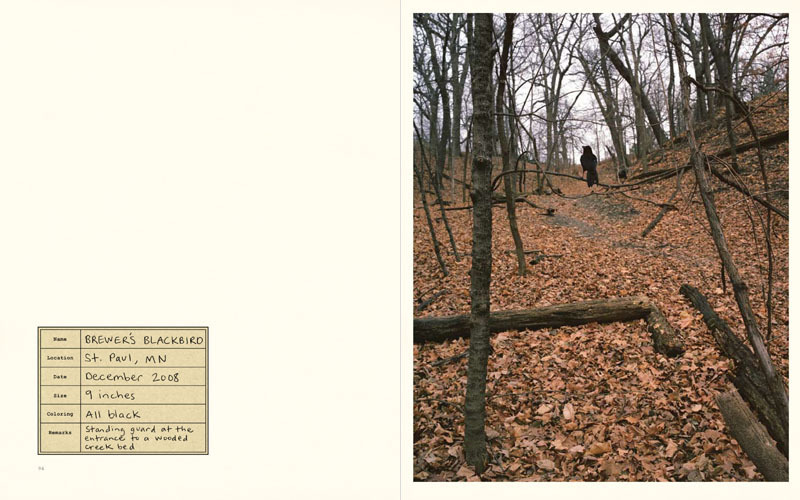 McCartney’s photobook is a delightful mix of landscape photography with charming double-takes, with a witty, if not outright humorous, captions and commentary that continues in character, and provides an overall fun experience. This is one photobook that I am very happy that I gave a second chance and a photobook that I can definitely recommend.